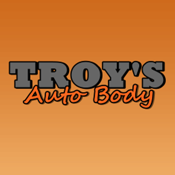 Troy's Auto Body provides professional and reliable auto body and collision repair for Highland, NY and the surrounding areas. For over 15 years we have provided superior service and assisted many people with all their automotive needs, we have the best rates and most experience in Highland, NY. Our free app includes many great tools to make your car repair needs easier, such as one-touch click to call, snap pictures and email for appraisals, and much more!